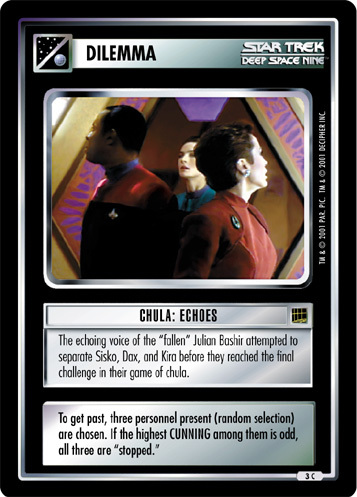 The echoing voice of the "fallen" Julian Bashir attempted to separate Sisko, Dax, and Kira before they reached the final challenge in their game of chula. To get past, three personnel present (random selection) are chosen. 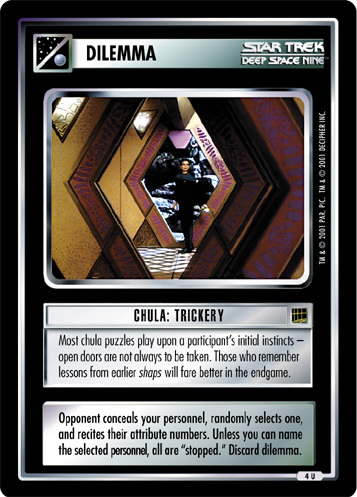 If the highest CUNNING among them is odd, all three are "stopped."